Standard Industries recently announced the launch of GAF Energy, a new startup that aims to crusade for the adoption of rooftop solar. The company wants to move faster in solar installation than other companies, by targeting roofing customers of Standard Industries. Martin DeBono, president of GAF Energy, stated that the magnitude of the roofing industry is greater than the solar industry. For other solar installers, customer acquisition has remained a primary challenge. In the U.S., around five million homes are being re-roofed, but lesser than 300,000 homes get solar power, this can be changed by offering solar as a standard option while re-roofing or while getting a new roof. To avoid leaks and to make the panel part of the roof, the company wants to sell PV panels that are designed to install skylights. The panels must be installed in separate racks and might seem like Tesla’s solar shingles. 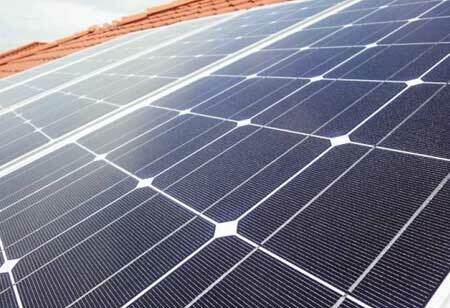 Installing the PV while installing the roof will keep the costs low. David Millstone, co-CEO of Standard Industries stated that being a global player in roofing and waterproofing, the company would reshape the entire solar sector to make sure that clean energy is a reality to everyone. GAF Energy treats roofing like real estate, and they see a future with energy in every roof installation. The offering by GAF will encourage people to convert their roofs with technologies that are accessible, affordable, and attractive. With general project management, there will be savings gained in site engineering, permits, and procurement. Furthermore, there will be few synergic installation savings. The company will work with local installers because they don’t possess specialized personnel. The complicated installation logistics is eliminated from the equation to make it easier for contractors to choose. GAF Energy will make the financing and permitting portion simple as possible. Standard Industries notices a chance to shift the conversion of rooftops to show consumers and contractors that roof can be a valuable asset, and real estate can be put to good use. No matter where the user stays, the contractor will include solar power even if the region has slow solar growth.